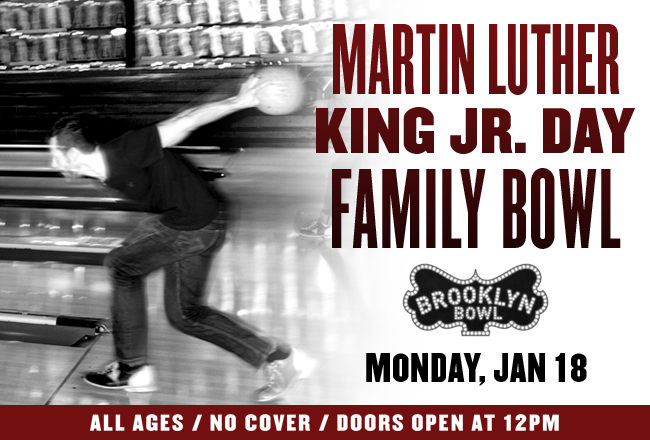 Brooklyn Bowl is open for Martin Luther King Jr. Day and for all ages from 12:00 – 6:00! Bring the whole family and get your bowl on. Food by Blue Ribbon will also be available, as well as local brews & more! Tags: bowling, Brooklyn Bowl, family fun, free, NYC events. Bookmark the permalink.